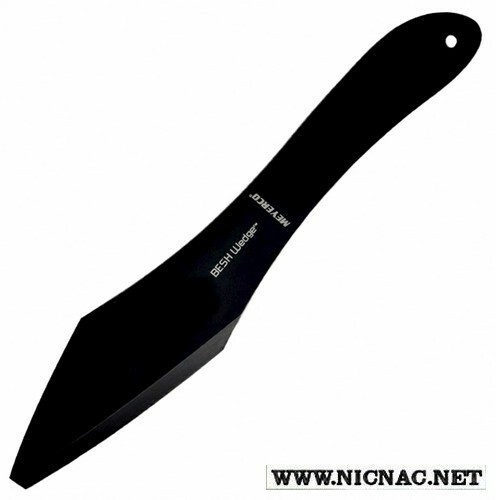 Meyerco BESH Wedge Throwing Knife MLTHR has a 5" Blade Steel Handle and comes with a Nylon Sheath. It is made of one piece black finish stainless construction and is overall 11 1/2" and has a lanyard hole. It's a 3 position thrower and has a limited forever warranty from Meyerco. We're re-releasing our inventory so get yours today. We have several so order more than one and have a competion with your friends!